Persuasive Speeches, Informative Speeches, Graduation Speeches, Motivational Speeches and other specialized speeches, poems and presentations. "Teeple says she couldn't have written such a good speech without Milevoy's ( founder of Words2Touch ) help. 'I gave him ideas, but he put them together so it sounded elegant.' "
Answers the following questionnaire the best you can so that we can get some details about your event or special occasion and we will get back to you with a quote within a few business hours . If you are rushed or prefer to discuss this by telephone, contact us. * What is your name ? * What is your e-mail address ? * In what country do you live in ? * What is your phone number ( please include your area code ) ? What type of speech or presentation would you like help with ? What tone would you like your material to have ? How comfortable are you talking in front of an audience ? Your audience will be comprised of what kind of people ? Do you have any stories or reference material that you can email to us or are there any web sites that you think could be useful for writing your speech ? By clicking on the 'Submit' button, your order will be processed and we will confirm our availability, your final purchase price, the number of free revisions that you will be entitled to and payment details. We accept the most popular credit cards and automatic debits from bank accounts through the PayPal processing system, as well as money orders. Why have you been asked or chosen to deliver this speech or presentation ? 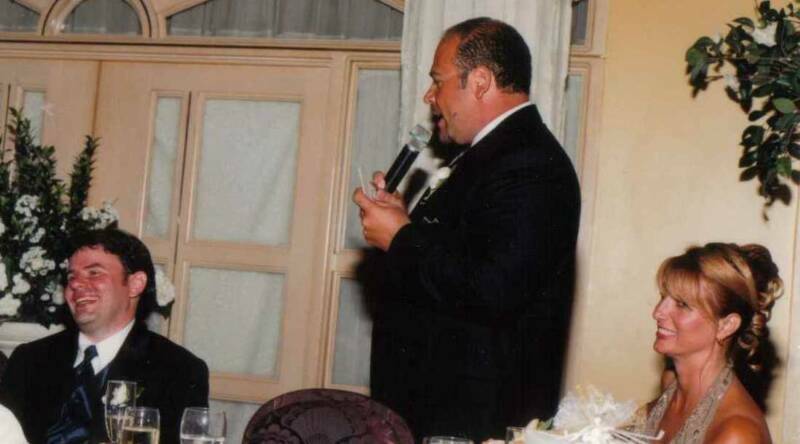 If you would like a speech for an occasion other than for one of our standard offerings, such as a graduation, charity benefit, business luncheon, a festive occasion that you need material to accompany a slide show with, or anything in between, please fill out the questionnaire on the right and let us know what you need help with. Depending on the type of speech or presentation, the research that we will have to do, the length of the desired material, and the amount of time that we are given, we will quote you a price accordingly. Our prices range from $40 U.S. to $100 U.S. per minute of speech. We use 125 words to calculate one minute of speech, which is within the accepted norms of verbal communications. Most of the custom speeches that we have written required one or no revisions for our customers to be satisfied with or that they slightly tweaked themselves. About how long, in minutes, would you like your material to be ? Most of our customers prefer keeping our relationship a secret. However, if it will reassure you about our service, some are willing to relate their experience with us to you. What is the latest date that you would like your material to be completed by? Please note that the more time we are given, the better the quality of your material likely will be, and/or the lower the price will be, and/or the greater the number of free revisions that will be available to you. Can you provide some background on your event and a general outline for the material that you want ?